I was recently requested to comment on a 2011 TEDx presentation by Tony Lovell. It seems the video of the presentation has been posted in recent climate change discussions involving the impact of animal agriculture. Lovell spends much of the first half of the presentation seeking to convince the audience that we need to draw carbon from the atmosphere in order to reduce the impact of climate change. 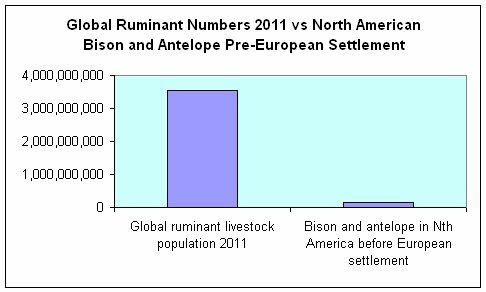 He might be surprised to learn that, even at the time of his presentation in 2011, there was nothing new in that argument, and that most of us who argue for a reduction in livestock numbers would agree. The same comment applies to his point that biological sequestration in particular, in the form of improved vegetation, is beneficial. Lovell discussed what he felt were limitations in many people’s ability to adopt “complex, cyclical thinking”. Specifically, he bemoaned the supposed preponderance of “simplistic linear thinking” that links effects to a cause. The example he gave was his belief that many people see greenhouse gases solely in a negative light. He argues that, because methane is a greenhouse gas, they don’t like it and, because cattle emit methane, they don’t like them either. He argues that the supposed inability to think soundly is one of several reasons for people finding it difficult to deal with climate change. The others are: fear of the unknown or unusual; difficulty in dealing with large numbers; difficulty in understanding compound growth; and being loss averse. 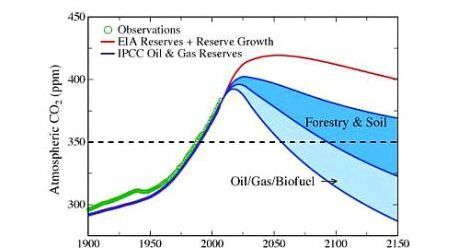 It was not clear from his comments, but his reference to compound growth may have related to feedback mechanisms in the climate system that create exponential trends or compounding impacts. Seemingly related to those points, he talks about people behaving irrationally in relation to economic decisions, and says, rather loosely, “climate change is talking about cost benefits and that”. His points seem largely irrelevant to the case he tries to mount for his preferred form of agriculture. The specific cycle he discussed in terms of “complex, cyclical thinking” was the carbon cycle. He seems to contend that most people who are concerned about climate change do not realise that greenhouse gases are essential to avoid freezing temperatures, and that the problem is one of excess. Once again, he might be surprised to learn that most of us who argue for a reduction in livestock numbers would agree. He then uses the carbon cycle as a means to defend ruminant animals emitting methane, which contains carbon. He says, “these things are actually cycling carbon”. They are, but he neglects to mention the extreme climate warming potential of the methane (comprising carbon and hydrogen atoms) created by those cattle and sheep. 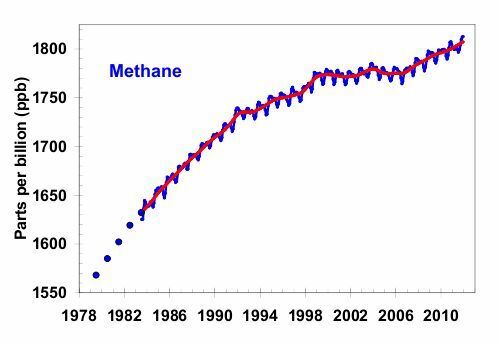 Although it eventually breaks down to water and CO2 as part of the carbon cycle, methane is an extremely potent greenhouse gas prior to that time. The fact that the carbon in methane is eventually recycled provides little comfort while it is doing its damage. Lovell cites the wildebeest on the Serengeti Plain in Africa to effectively contend, like Savory, that cattle grazing can be arranged in a way that mimics nature. However, the forced and selective breeding of food production animals for increased population size and accelerated growth is an unnatural process, and has greatly increased the overall animal biomass and related environmental impacts. Let’s see how those numbers look in charts. 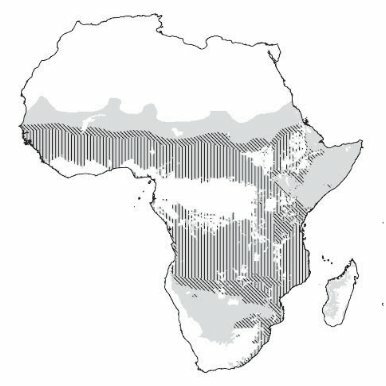 Cattle’s estimated biomass is 120 times that of wildebeest in the countries where they co-exist. Lovell says ruminant animals evolved between 10 and 26 million years ago, and that there have been billions of them. 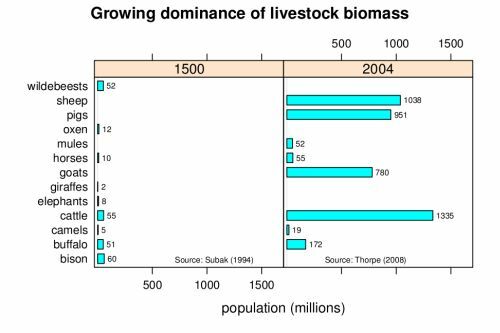 There may have been over that time frame, but the number and biomass of ruminants in the wild are minuscule relative to those used as livestock. What he doesn’t mention is that we don’t require ruminant animals for the carbon cycle to work. The breakdown and oxidation of organic matter would occur without them. It seems extraordinary that Lovell can spend so much time early in his presentation arguing that we need to draw CO2 from the atmosphere, then argue that we need ruminant animals in order to prevent that atmospheric CO2 from disappearing. 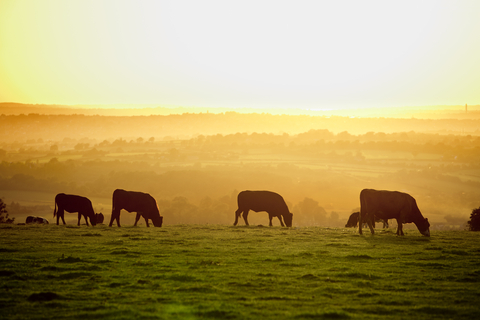 In any event, a critical problem is loss of vegetation due to meat production, reducing the ability of the biosphere to draw carbon from the atmosphere. At around the 18:30 mark, Lovell seems to blame crop production (along with removal of predators and microbes) for loss of biodiversity and related negative environmental impacts. 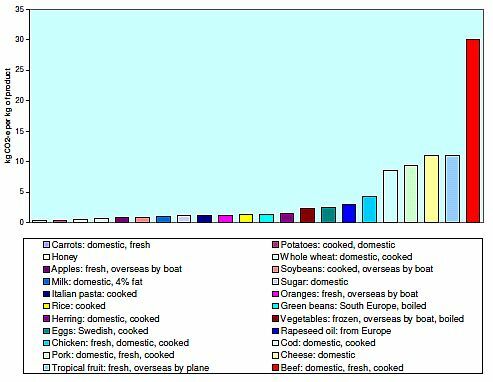 A key point globally is that we could reduce the area used for food production significantly if we were to increase the proportion of people on a plant-based diet. The reason is that such diets are far more efficient than the animal-based alternative in supplying our nutritional requirements, thereby requiring fewer resources, including land. The Food and Agriculture Organization of the United Nations (FAO) has stated that livestock production is one of the major causes of biodiversity loss, along with other examples of our “most pressing environmental problems”. In any event, grazing has a devastating effect on perennial grasslands. 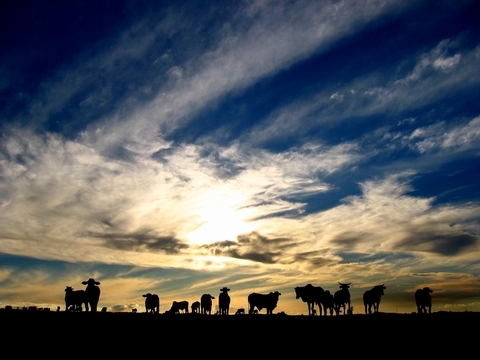 The Pew Charitable Trusts have commented extensively on the destructive environmental impacts of Australian livestock grazing, including land clearing, introduction of invasive pasture grasses, degradation of land and natural water sources, and manipulation of fire regimes. Importantly, they have reported on improvements to land when pastoralists transition from grazing to eco tourism. Lovell displays clear prejudice at two points. That is a gross generalisation. Like the rest of his argument, both points lack substance. The systems promoted by Lovell and Savory may have some merit on a small scale where water points are plentiful and labour relatively cheap. 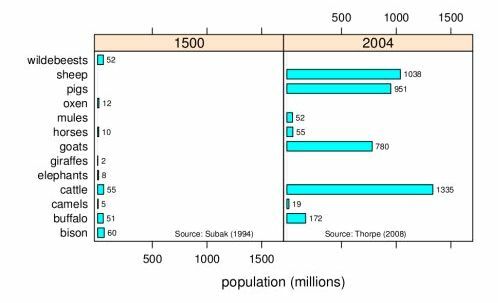 However, despite the romantic notion of cattle grazing harmlessly on natural grasslands, those systems could not be scaled up sufficiently, in an environmentally friendly manner, to satisfy the needs of a growing global population. The wildebeest population is limited to Botswana, Kenya, Mozambique, Namibia, South Africa, Tanzania, Zambia and Zimbabwe. Lovins also cited Polyface farm in the US as evidence that Savory’s approach works. But how successful is Polyface? Another example from Lovins was the Australian company, Sustainable Land Management (SLM). She did not provide a specific example of SLM’s work. However, the company’s website includes the single case study of “Padua“, involving two properties covering 44,000 hectares near Cunnamulla, Queensland. After acquiring the properties in 2012, the company created 200 paddocks by installing 580 kilometres of fencing, along with 98 kilometres of water pipes and 23 new water points. Although Savory’s approach may allow revegetation on a relatively small scale, subject to adequate water resources and livestock controls, it would never be sufficient to feed the masses. Lovins seems to have softened the claims of Savory, in that she talks of his practices “countering” climate change, rather than “reversing” it. I wonder if she believes that Savory has overstated the potential benefits of his methods, and is subtly stepping away from his most elaborate claim. Savory and his supporters, including Lovins, may be akin to those who support fossil fuels in relation to climate change, promoting methods such as carbon capture and storage. Their approaches tweak systems that are fundamentally flawed, when far more simple and effective solutions are readily available. Note: Protein chart updated 21st February, 2016. Lovins, L. Hunter, “Why George Monbiot is wrong: grazing livestock can save the world“, The Guardian, 19th August, 2014, http://www.theguardian.com/sustainable-business/2014/aug/19/grazing-livestock-climate-change-george-monbiot-allan-savory? In March and July, 2013, I posted articles on Allan Savory and Bill McKibben. I subsequently added a number of postcripts. Here’s another, posted as a stand-alone article. If you don’t know of them, Savory promotes intensive livestock grazing systems, and McKibben is the founder of climate change campaign group, 350.org. I was criticising Savory for the lack of scientific evidence to support claims that his form of intensive livestock grazing could reverse climate change and prevent desertification. I was similarly critical of McKibben for his lack of evidence and detail in promoting intensively grazed systems. McKibben was supporting Savory’s approach during a 2013 visit to Australia. He also seemed to be doing so in a 2010 article in Orion Magazine, but did not specifically refer to Savory at that time. Some time back, I became aware that supporters of Savory appear to have taken credit for much of the material used in McKibben’s article. They did so in an April, 2010 discussion within the Soil Age Google Group. The discussion included or referred to Adam Sacks, Seth Itzkan and Jim Laurie. You can see them pictured with Savory on the Savory Institute Hubs page. This article is a direct result of your [Sacks’s] interaction with him and the subsequent correspondences that you, me, and Jim [Laurie] had with him in the following weeks, both the general theme, as well as the particulars and specifically all the language about electric fences, dung beetles, predators, and of course ‘methane-loving bacteria’. He was profoundly influenced, and grateful for our influence, and I’m thankful to you for helping to make that connection. 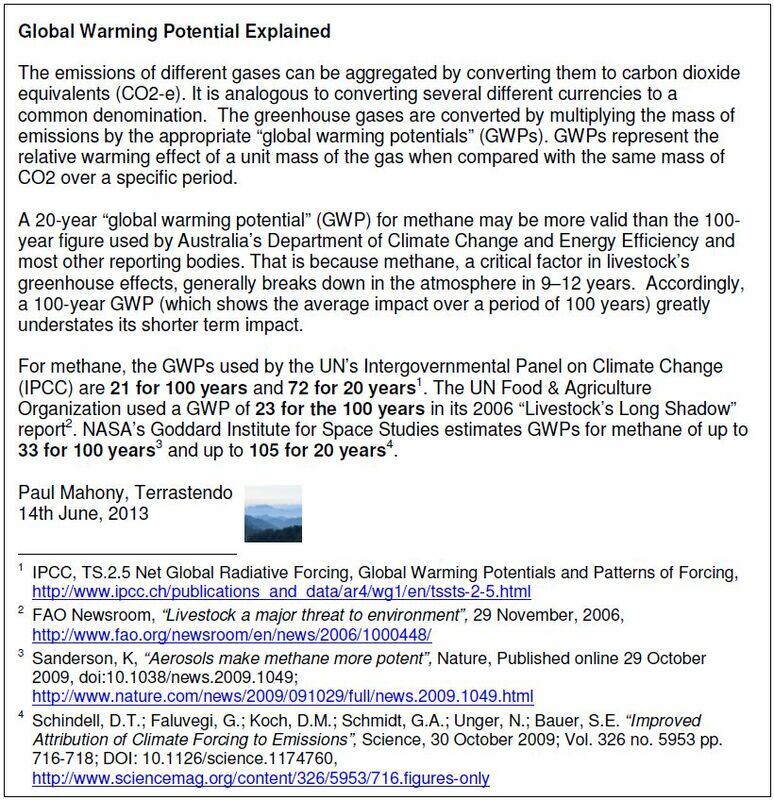 As explained in my article on McKibben, the research on “methane loving bacteria” that Sacks referred to in a January, 2010 Grist article was subsequently found to be out by a factor of 1,000. A seemingly inadvertent error had occurred in reporting milligrams instead of micrograms. I’m not aware of McKibben, Orion Magazine, Sacks or Grist correcting the articles. If they have not, then perhaps they should, particularly on such a critical issue.